In every woman's sewing kit you should find a Thimble, not that she will use it but it is there if she wants it. Brass Thimbles work the best. 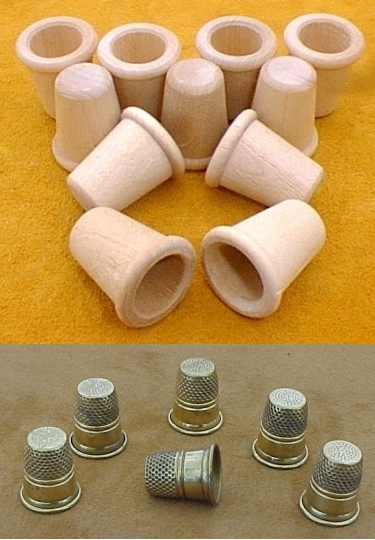 If she would prefer a Wood Thimble we have them also.